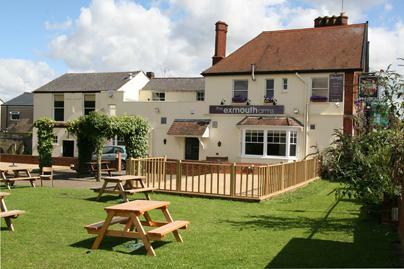 The Exmouth Arms is named after a prominent naval officer, Edward Pellew, who was created Viscount Exmouth in 1816. It is believed to be one of the first properties in the Bath Road, possibly dating from before 1820. Indeed a newspaper report from 1824 states the landlord of the Exmouth Arms Cheltenham to be a Mr Richings. He was John Richings who died whilst still the landlord in June 1838 at the age of 51. His widow Ann remained at the pub until at least 1841. In 1820 a public swimming pool, known as Parker's Swimming and Bathing Place, was created at the west end of the Exmouth Arms garden. Fed by the Westal Brook, which now flows in a culvert under the site, it was owned by a local builder named Arthur Parker. 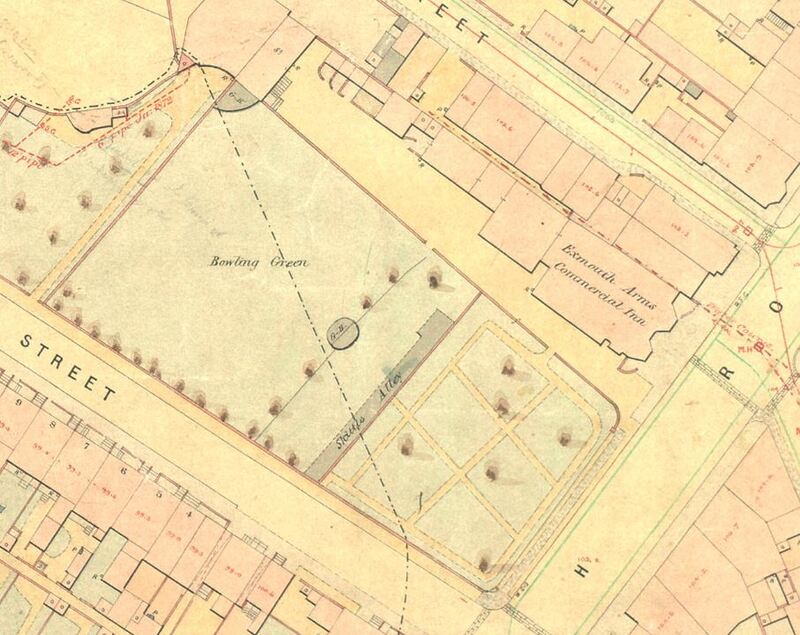 The pool survived his bankruptcy later that year and existed until about 1831 but is not shown on the Old Town Survey map of 1855-57 (see below right). As is to be expected over the last two hundred years there have been many landlords. Information is only available for some. During the 1850s the landlord was Mr Henry Leech. About 1870 Joseph (Kitchen) Wood took over the licence of the Exmouth Arms. 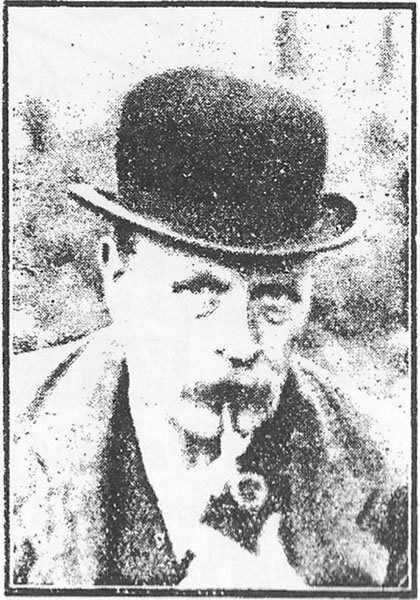 Mr Wood was married but was a widower by 1881. They had no children but Mr Wood had nine nephews and nieces. By 1887 his state of health had deteriorated to the extent that his doctor suggested that he retire to Malvern. His nephew, James Kitching, had taken over the running of the pub with the assistance of barmaid Emily Parry, one of Joseph Wood’s nieces. James also brewed beer on the premises until the start of the Great War. 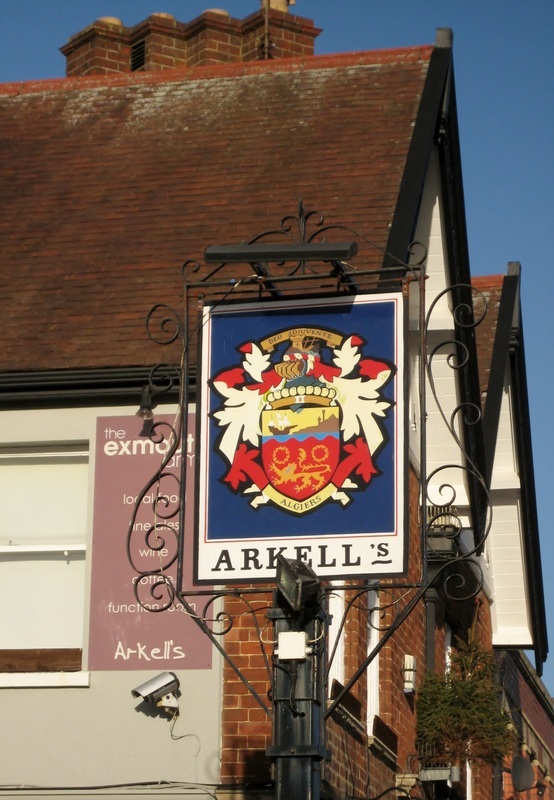 In fact the Exmouth’s licence was for an Alehouse. Joseph Wood died on the 11th May 1890 in Malvern from ‘softening of the brain’. The following year his will was contested by his nephew James Kitching. In a will dated 1886 Mr Wood had left the Exmouth Arms to him alone. However he made another the following year dividing his estate between all of his nephews and nieces. It was proved that his state of mind at the time of writing the second will was unsound and so the judge in the case found for the earlier will of 1886. 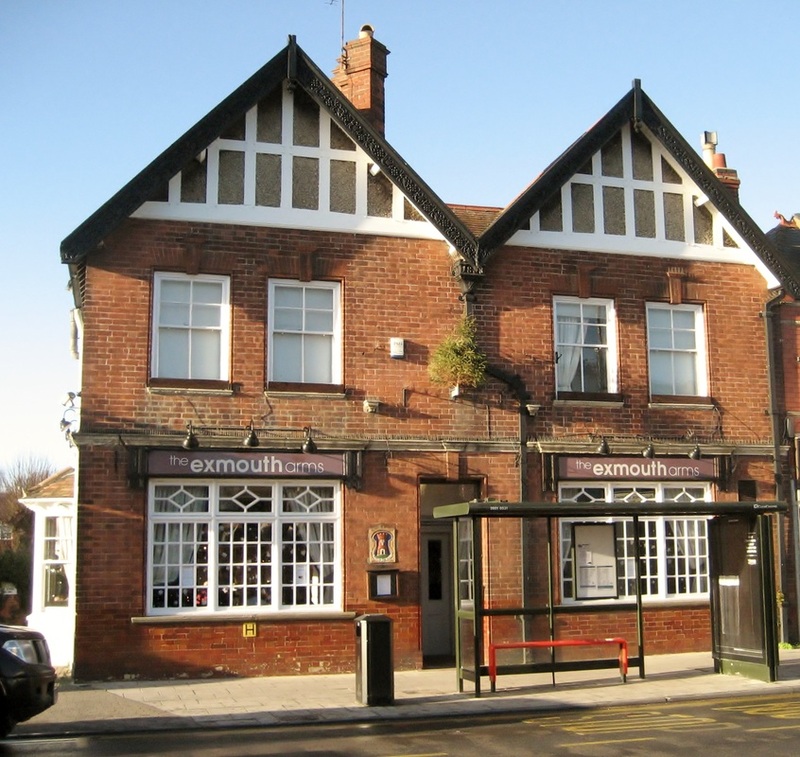 The Exmouth Arms was valued at the time to be worth £1,300. Later in 1891 James Kitching married Emily Jane Parry. They had a son the following year. James was a popular landlord well known throughout Gloucestershire for his enthusiasm and love for bowling. He was instrumental in forming the Exmouth Bowling Club and their green at the rear of the pub was considered to be one of the best in the county. In February 1922 James fell ill with peritonitis and died a few days later in hospital. After his death the licence was transferred to Emily and their son James. Emily decided to retire a year or so later and the licence was transferred to Mr William John Woodhouse . He was born in Cheltenham and spent some of his early years living near to the Bath Road. Mr Woodhouse was also the last Town Crier of Cheltenham , a position he held for many years. He died in September 1948.Some of the other landlords over the last 60 years have included Messrs Robins, England, Godwin, Smith, Ratcliffe and Lerwill. The landlord in 2010 is Mike Huysinga. The map below shows the Exmouth Arms bowling green in the mid 1850s. This is now an allotment for growing fruit and vegetables. The adjacent garden remains very popular with customers. Sadly the skittle alley no longer exists. Bath Road, about 1905, with the Exmouth Arms on the left.